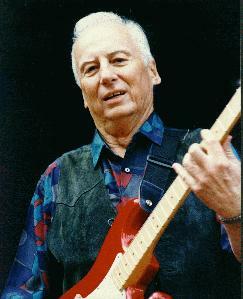 Sonny Burgess has been through the music evolution and the revolution. His music spans five decades of air play, concerts, dance parties, and radio shows. An original Sun recording artist, he and fellow band members put on a rock and roll show that was so full of energy that it became legend. He still does concerts, plays dance clubs, and he still has records on the charts. What's more he still puts on a rock and roll show that you won't forget. Sonny's first releases on Sun were "Red Headed Woman" and "We Wanna Boogie". These were enthusiasticly accepted by the young rockers who were flocking to the dance parties that were held around the Delta. In the 50's record companies would send their talent out to play regional gigs to promote their records and Sun was no exception. Sonny Burgess, Elvis Presley, Carl Perkins, Billy Lee Riley, Charlie Rich and many others were out playing their music in the local school gyms to promote their releases on Sun. 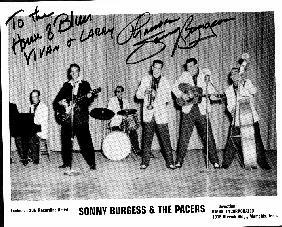 The Pacers were Sonny Burgess' first band. They performed all over northeast Arkansas. Their 50's releases made the youngsters wanna dance and their parents have appoplexy. There was gyrating, stage sliding, and acrobatics. They would build a human pyramid in the middle of the dance floor climbing on top of each other and continuing to play all the while. Like so many 50's rock and rollers Sonny found a new audience in the 80's. Europe wanted to hear that good old rock and roll the way it was played by those who invented it. For Sonny it meant touring with the Sun Rhythm Section which he still does. 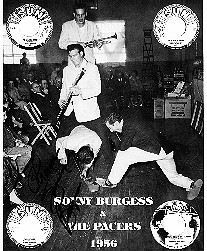 Now that it's popular in Europe the US audiences are starting to think it's cool to get back to rock and roll roots and Sonny Burgess is there to teach them all about it.